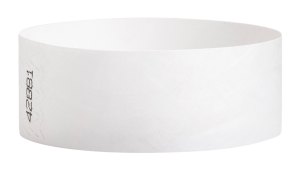 An extra large surface to show off your design. 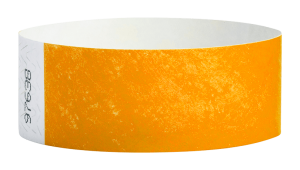 Production time 3-4 business days. 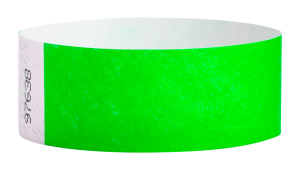 Custom 1“ Tyvek wristbands are great if you want a wristband that stands out from the crowd. Whether you’re hosting a kid’s party or an 18+ VIP party, wristbands are a simple and popular admissions solution for your next event. Pick your color, add your message and your final artwork to create your unique Tyvek 1 inch wristband. What’s more, after approving the layout we keep your template on file for hassle-free reorders. 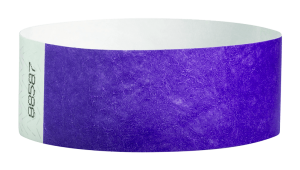 Less concerned about a customized design and want 1“ Tyvek bands delivered ASAP? 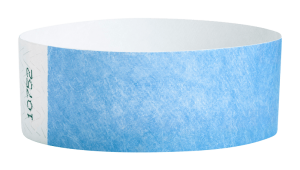 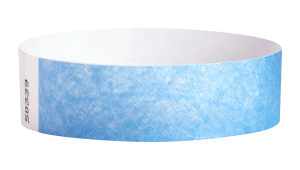 Then you should check out our Plain 1“ Tyvek Wristbands!